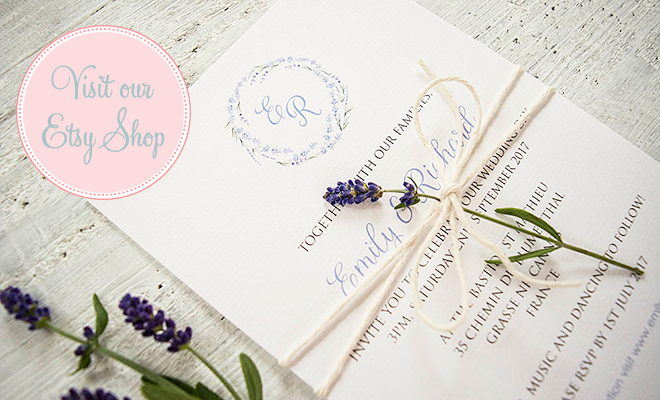 The ‘Chandos’ pocketfold wedding invitation comes with a vintage motif that can be used throught your entire stationery suite. It is shown here is in a pretty ivory-purple combination and is supplied with unlined envelopes in white or ivory. Choose a 5x7in (178x128mm), DL (100x210mm) or square size (150x150mm) pocketfold. Add RSVP, or insert cards with gift list, directions or accommodation information for your guests. It is also available in a flat style, with 2 card layers, if you prefer something a little more simple. The invitation can be adapted to accommodate your own style and is available in many different card and ink colours. Choose your own font and ink colour to compliment your chosen design. Add ribbons or diamantes as optional extras.